Defense Minister Brigadier General Ahmad Vahidi says Iran will teach Israel a good lesson if the entity tries to attack the Islamic Republic. Vahidi said on Sunday that Israel will not have a minimal chance of survival after venturing a military attack against Iran, as Iranian armed forces will pound all of Israel with thousands of missiles, Fars News Agency reported. “Why is the Zionist regime making threats (against Iran)? How many missiles have they prepared themselves for? 10,000? 20,000? 50,000? 100,000? 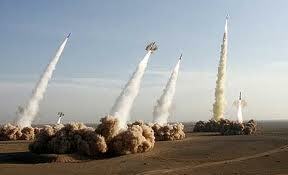 150,000 or more?” the Iranian defense minister asked. He advised the US and its allies to realize Iran’s incredible might and know that in the event of a war the Islamic Republic will teach the Americans what war really is and what soldiers are supposed to be like. Iran has refuted the allegations, saying that as a signatory to the nuclear Non-Proliferation Treaty and a member of the IAEA, it has the right to develop and acquire nuclear technology for peaceful purposes. While Israel refuses to allow inspections of its nuclear facilities or to join the Nuclear Non-Proliferation Treaty based on its policy of nuclear ambiguity, Iran has been subjected to snap International Atomic Energy Agency inspections due to its policy of nuclear transparency. Israel recently test fired a new long-range missile capable of carrying nuclear warheads.